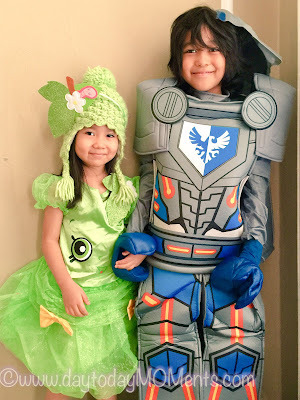 day to day MOMents: Adorable Shopkins Apple Blossom Classic Costume by Jakks Pacific for Kids! Adorable Shopkins Apple Blossom Classic Costume by Jakks Pacific for Kids! Halloween is almost here, and it just happens to be one of our very favorite holidays! Most children might say it's about the trick or treating, but for my children it's the fun of dressing up and decorating. We are so happy to share with you this adorable Shopkins Apple Blossom Classic costume by Jakks Pacific found on Disguise.com. One of many favorite character and themed costumes available on the site, one including fun LEGO costume we recently featured as well. Great for Halloween, and just as much fun all year round for pretend play. 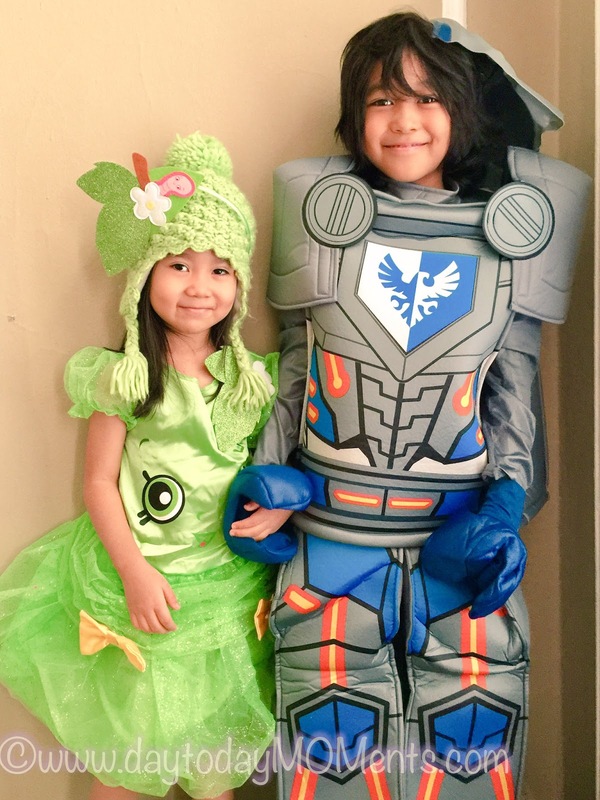 Collecting everyone's favorite cute Shopkins is fun, but dressing up as one is just extra sweet. Shopkins are super cute small characters that live in a big shopping world, there are hundreds of them to collect and a variety of them too. It is a two-piece costume that includes the dress and headband. The headband piece it comes with is adorable, but did not stay on, but we were able to clip it on to stay in place. We will be placing it on over her green hat when Halloween comes. The Apple Blossom Classic costume fit my almost four year old great, and left room for her to grow into if she wanted to continue playing dress up in it. It is adorably detailed true to the Shopkins features. There are more characters available, like the Strawberry Kiss Classic pictured above. We spotted the two costumes on display at the TTPM showcase earlier this month. Shiny and sparkly, it is sure to please your child. My daughter loves it so much, I have a little Apple Blossom walking around spreading sparkling glitter all over our home! Find your new favorite costume for you and your kids at Disguise.com. Follow @JakksToys if you aren't already for upcoming #JakksChats twitter parties, including one for PJ Masks & Shopkins on October 21 at 11AM. Check out the LEGO costume here.